Matte, shimmer, shine, frost. If I were to pick from these four then surely matte it would be. And I was referring to eyeshadow finishes in the phrase above, lol. Having had these in my kit for a long while, I can't think of a better time than now to do a review of them telling you guys what I think. While Bobbi Brown is the Queen doesnt by any chance mean that she doesn't dip her feet in colour and darks every once in a while. I got these from Alhaja in Trade Fair (live in Lagos, then you know who that is) and not once have I regretted the purchase. If I recall, they were at giveaway prices 'cos I know I never paid up to a thousand for any single one of them. I love these eyeshadows. I don't know what else to say apart from that. I'm so scared of hitting pan on them and not being able to find them again here in Nigeria. I'd most definitely recommend these to pro makeup artists who need to have matte shades in their kit and extra points for these as they are able to perform dual, sometimes triple, functions too. 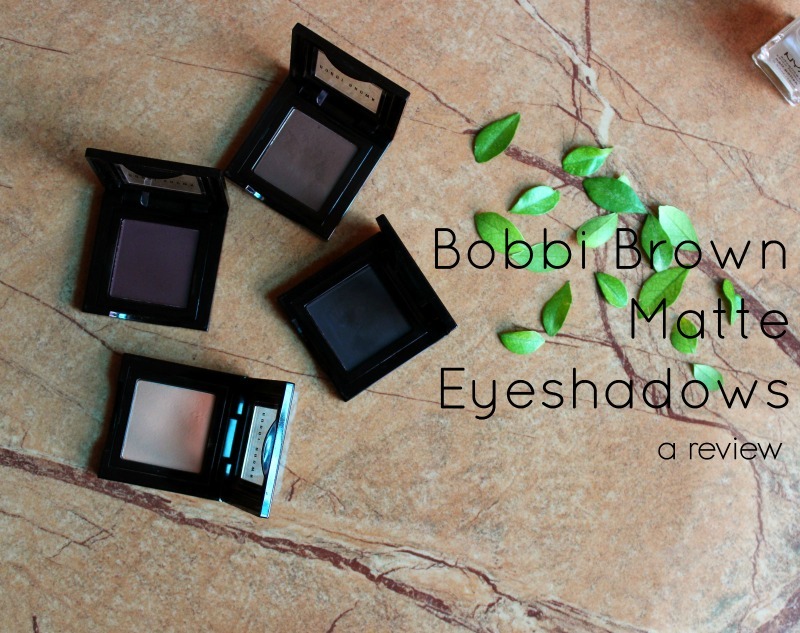 Makeup enthusiasts won't really appreciate these because they don't sparkle so I'd say "if you are just a makeup lover, skip these, if you've moved beyond the fantasy stage of your makeup love, then you need to get these"